Eagle cars were a major threat to many automakers in the late ’80s and mid ’90s. The power of Chrysler and Jeep were used to promote and market the Eagle brand. Many cars were produced with Chrysler technology and the motors that were inside were also used in many Jeeps. Most Eagle cars were 4-speed transmissions and a V6 engine. These engines offered an upgrade to the smaller 4-cylinder that Chevy and Ford marketed for better fuel economy. We have Eagle Vision 3.5L car engines for sale at the price that you want in our inventory. Buying for less from this website is easy. The Concord, Intrepid and Pacifica have all used the 3.5L V6 at some point during their production runs. While the Eagle brand eventually folded, the V6 engine did not and is what you will find in our inventory. Our car engines for sale are checked out before and after they arrive to our facility. We use this double evaluation process to help guarantee our engine quality is what we claim it to be. Our engines can be found in all 50 U.S. states and in many other countries in the world. The confidence that we have and that our customers have cannot be denied. We are a premier provider for Chrysler engines on the Internet. Trying to find a motor for a car that is no longer produced can be a bit challenging. There are many used engines out there and just as many have varying levels of quality. We deal specifically with used and remanufactured engines here. What is not sold as used is rebuilt inside of our Chrysler engine shop. We guarantee that all parts on each engine are OEM and not something that has been substituted before or after our rebuild has been completed. We even provide the standard OEM parts warranty for all parts that we apply to engines. 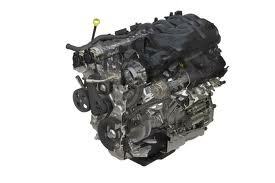 We want the V6 engine that you purchase from us to last for many years without any signs of extreme wear and tear. Our facility is equipped for expert level testing. Any mechanic can look over an engine, but a computer will never lie to you about the condition. We’re not shade tree mechanics. There is nothing you can do to a used engine that we do not do here inside of our facility. Our dynamometer is expensive but it does a great job. No problems can sneak by our rounds of testing. Engines that come out of our testing are ready for your installation. We also do not modify the engine blocks or tweak the performance. We leave everything the same for each 3.5L Vision engine. We are pretty sure what brought you to our website. You are searching for an available V6 Eagle engine for a great price. We can do that for you here. Use the Chrysler quote form on this very page and our pricing is displayed instantly. There is no struggle or haggling that you have to do to get our lowest price. You can even call us at 1-877-630-3873. It’s up to you. Just know that we treat you right and give you the best deal when you shop here. We are constantly adding engines and information. If you do not see the engine you are looking for, call us.